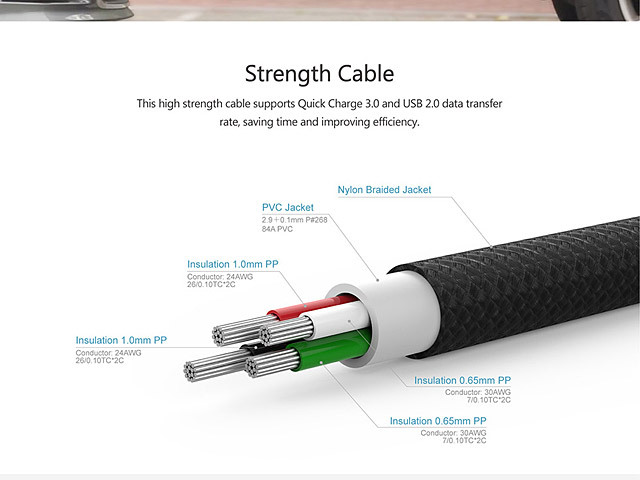 Quicker and easier to handle than regular cables. 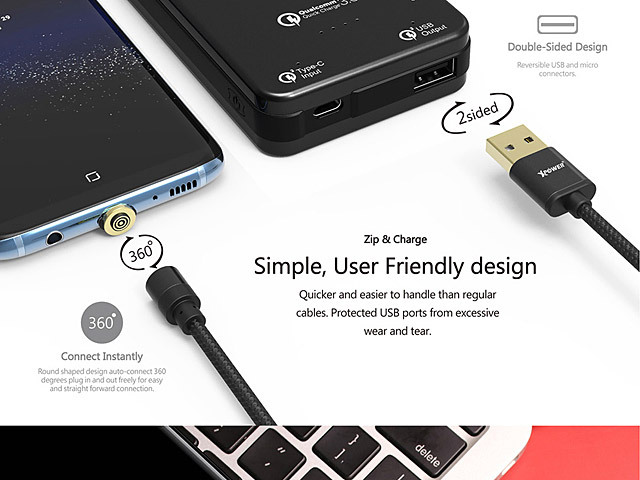 Protected USB ports from excessive wear and tear. Supports USB 2.0 transfer rate with maximum current capacity at 3A for high efficiency. 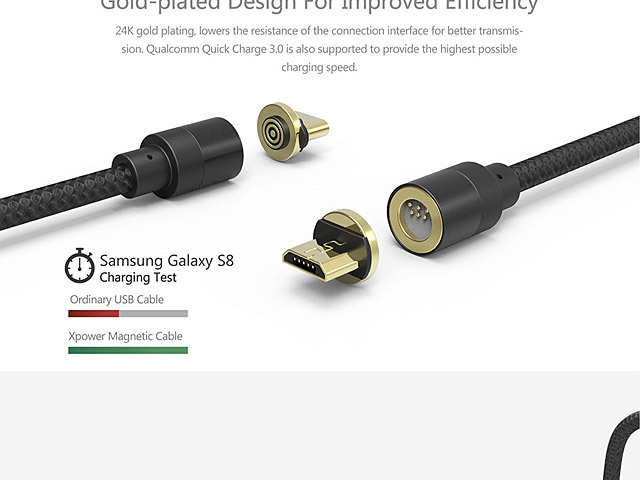 24K gold plating, lowers the resistance of the connection interface for better transmission. 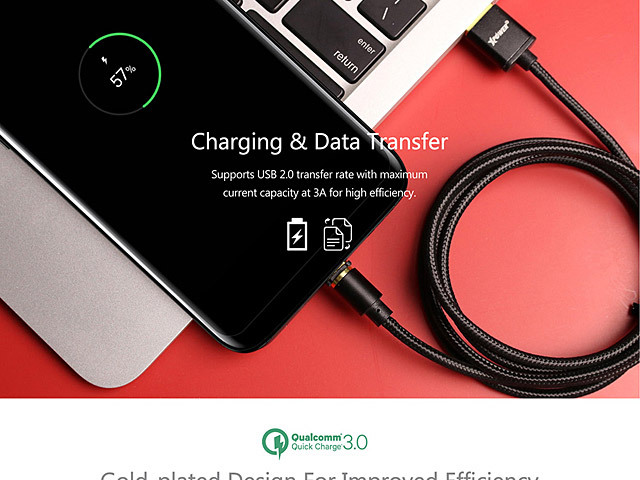 Qualcomm Quick Charge 3.0 is also supported to provide the highest possible charging speed. 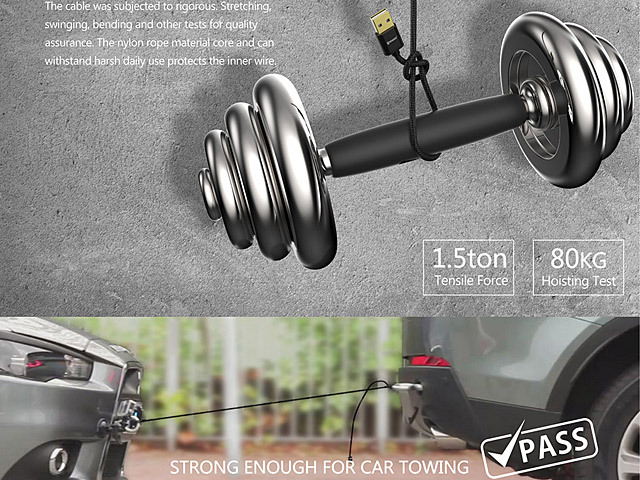 Magnetic interface is convenient to use. 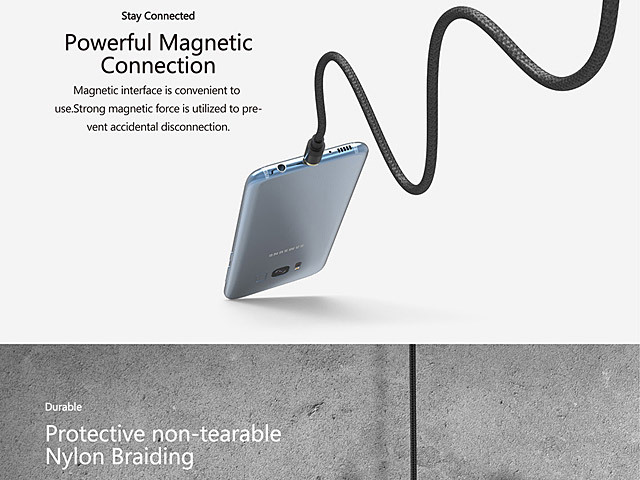 Strong magnetic force is utilized to prevent accidental disconnection. 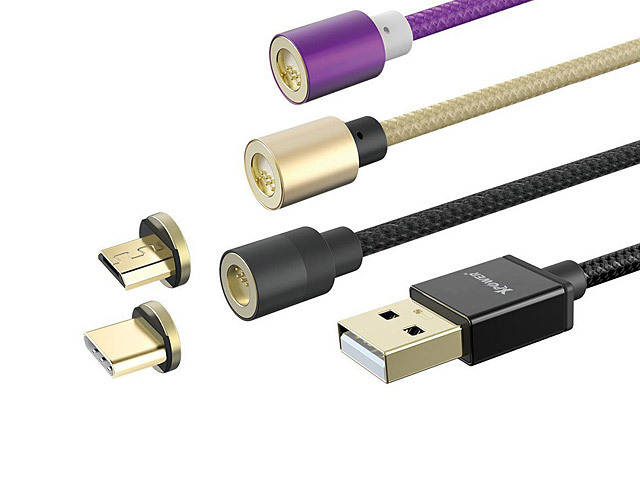 The cable was subjected to rigorous. Stretching, swinging, bending and other tests for quality assurance. The nylon rope material core and can withstand harsh daily use protects the inner wire. 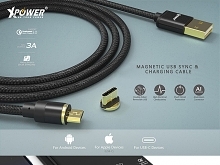 This high strength cable supports Quick Charge 3.0 and USB 2.0 data transfer rate, saving time and improving efficiency. 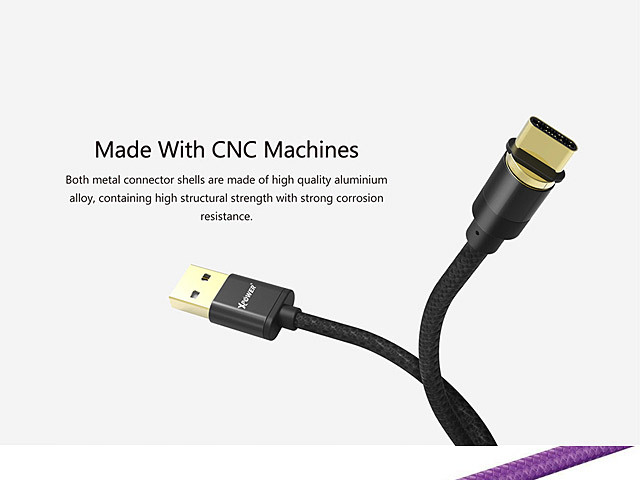 Both metal connector shells are made of high quality aluminum alloy, containing high structural strength with strong corrosion resistance.